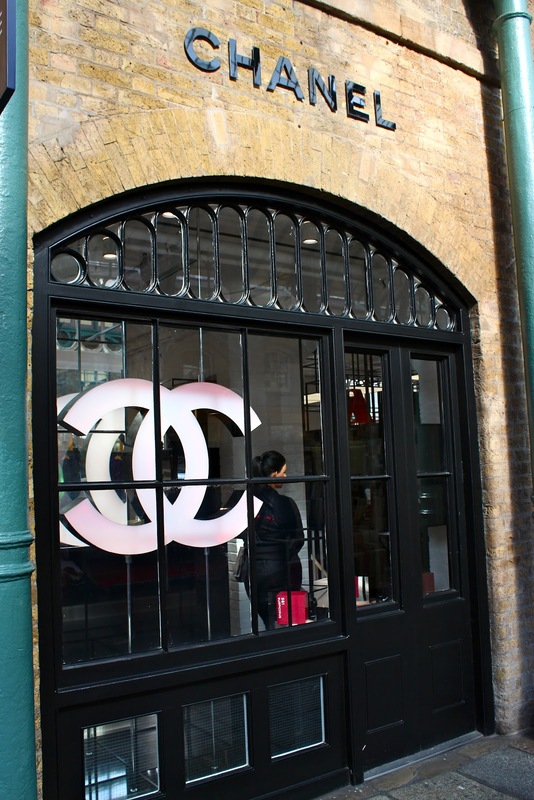 Chanel opened it's first stand alone makeup store in Covent Garden back in July and I hopped on a train straight there as soon as I heard. Since then I've popped in whenever I've been in the area, if only to admire the beautiful displays of makeup inside. Unfortunately it's only a pop-up store and is closing on December 30th...still plenty of time to get some goodies before Christmas! The store stocks all the Chanel perfumes, skincare & makeup. Downstairs is the first ever UK Chanel nail bar where anyone can have a shape and polish, with £20 redeemable against purchase. Effectively you're getting a free shape and polish when you buy a nail polish! My habit of perusing the loveliness within the store didn't end when I passed the other day, and I ended up leaving with a nail polish and lip gloss (oops..!). The service in there is amazing, all my questions were answered and they even wrapped up the polish in Chanel wrapping paper before putting each item into very cute little bags. I literally gasped when I got given a tiny black embossed one...adorable! (I'm definitely going to have to go back and get something for my step-mum who also loves makeup and cute bags!) More on the treats inside in my next post. Follow Through Elle's Eyes by Email! All images and content of this blog are property of Elle Pearson, unless stated otherwise. Picture Window theme. Powered by Blogger.